A group of activists held a silent protest in Central on Sunday to mark the second anniversary of the beginning of a crackdown on hundreds of legal staff and activists in China. 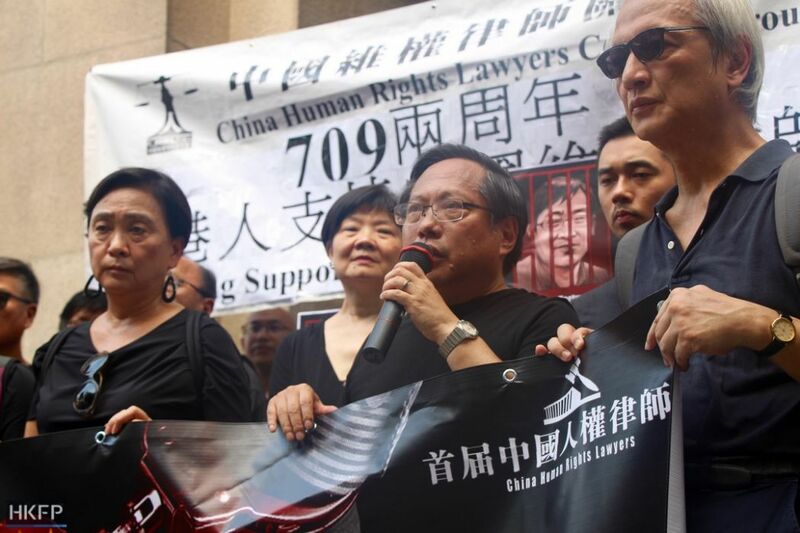 The protest was organised by the China Human Rights Lawyers Concern Group (CHRLCG), to “show our solidarity and to show our commitment to support the lawyers, who… stand for justice,” said chairman Albert Ho. Three additional minutes were added to the original duration of the standing protest in honour of Nobel Peace Prize-winning Chinese dissident Liu Xiaobo, who is gravely ill on medical parole. 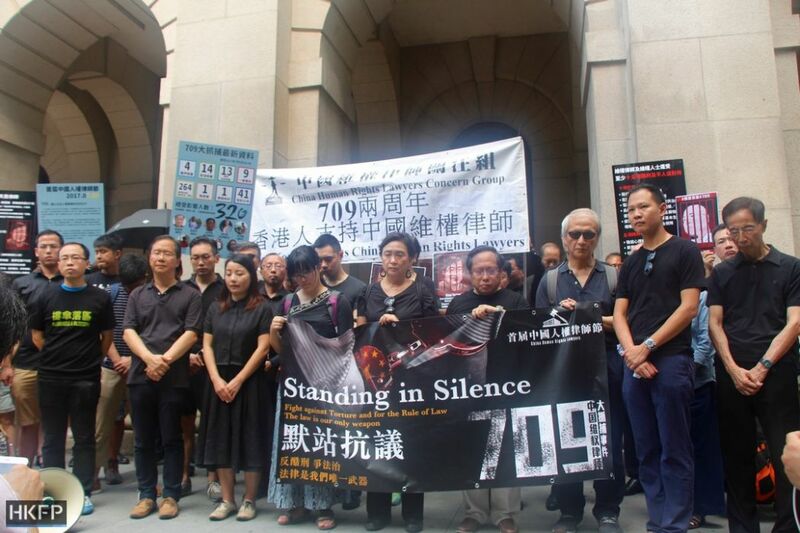 The “Standing in Silence” gathering was one of three activities held in Hong Kong as July 9 was inaugurated as China Human Rights Lawyers’ Day by a group of international organisations, including China Change and the Taiwan Association for Human Rights. Also in attendance were barrister Martin Lee, legal sector lawmaker Dennis Kwok and democracy activist Joshua Wong, among others. According to CHRLCG, at least 320 lawyers, law firm staff, rights activists and family members have been questioned, summoned, forbidden to leave the country, held under house arrest or residential surveillance, criminally detained, arrested or known to be missing as of July 6 this year. 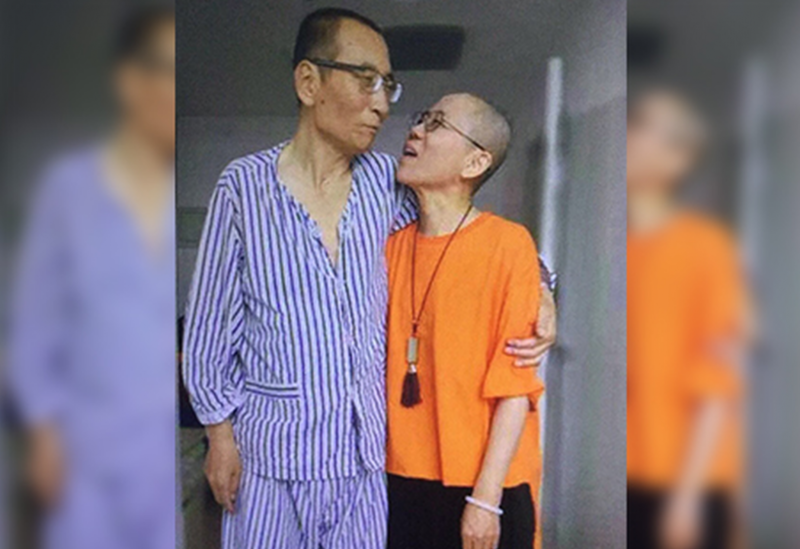 A photo of Liu Xiaobo and Liu Xia, believed to have been taken recently. Photo: Activists. Kit Chan, director of CHRLCG, told HKFP that the standing protest was unique because it included local lawyers. 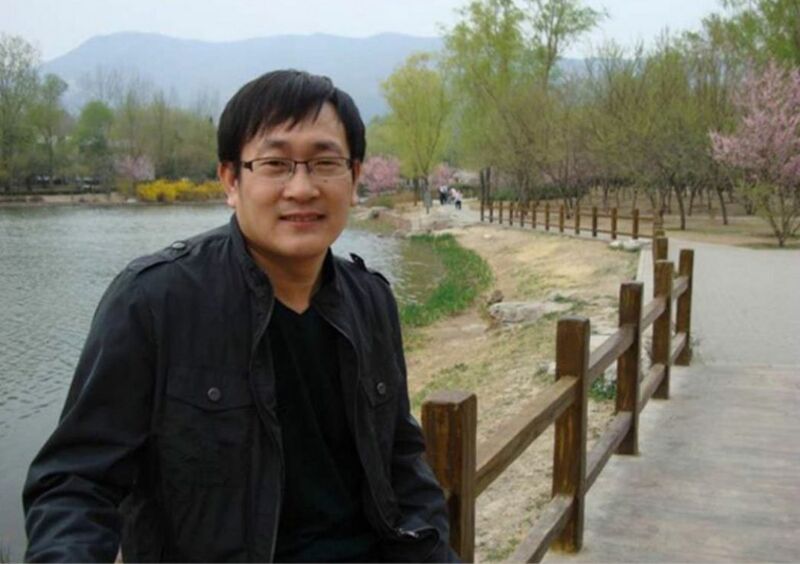 Among the lawyers who were detained and are now pending trial is Wang Quanzhang, a lawyer who had worked on the cases of Falun Gong practitioners, investigative journalists and democracy advocates. Wang has not been heard from since he disappeared on July 10, 2015. His wife, Li Wenzu, told HKFP in May that he had not been allowed to meet the lawyers hired by his family or even to see his family. Attorney Jiang Tianyong disappeared in November 2016 while trying to visit the wife of a detained lawyer. Like Wang, Jiang has not been heard from by his relatives. Police say he is under residential surveillance. 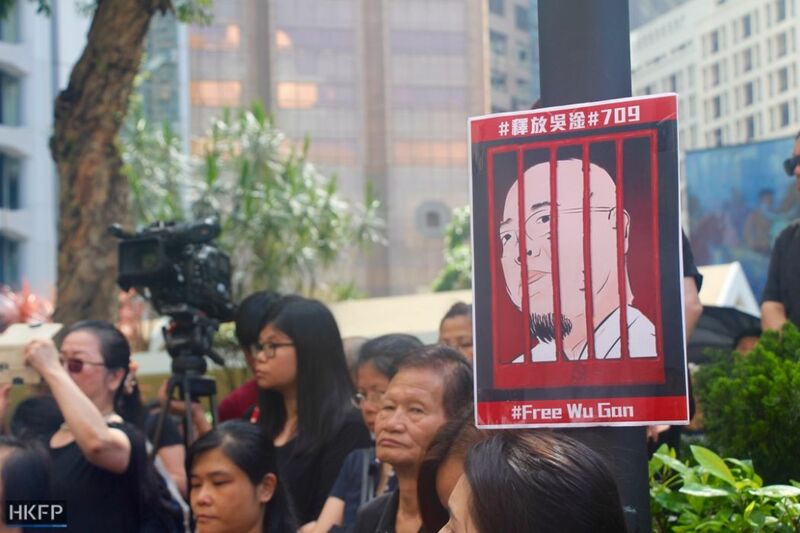 Also highlighted in the protest was the plight of legal activist Wu Gan. Chan told HKFP that while Wu had “managed to see his lawyers” in December 2016, describing torture he suffered in custody, these visits were halted by the authorities in April. Wu was again allowed to see his lawyers from June 12. Chan said that CHRLCG believes that this is a sign that Wu’s trial may begin soon. 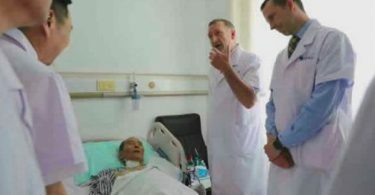 Chan said that the Concern Group will continue to call for a “fair trial, [an] open trial,” in light of the experiences of Li Heping and Xie Yang, among others, last August. The protest was followed by the screening of 709 Fellows, a documentary by director Lo King-wah, at Hong Kong University. The screening was co-organised with Amnesty International Hong Kong. Earlier that morning, the Hong Kong Alliance in Support of Patriotic Democratic Movements in China and the Justice and Peace Commission of the Hong Kong Catholic Diocese ran a street both with CHRLCG at Jardine’s Crescent in Causeway Bay. Commemorative activities were also held in Washington and Taipei.